Now that the holidays are over we are arranging for another rock climbing experience to allow others to attend. 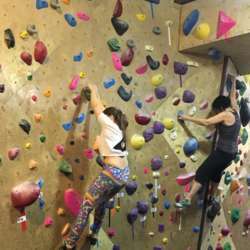 The venue, Steep Rock Bouldering, has extended the incredible deal of $17 vs. $30 for our group. This includes the rock climbing experience along with equipment. If you do not have any experience climbing, no worries. You will be provided with instructions by the amazing team on-site. Laura Munteanu, Internations Member, will also be on-site. She's an experienced climber who will be leading this event on my behalf. I have created a PayPal money pool to facilitate the process and ensure everyone receives this great offer. Please make sure to include your name when making the payment. We can do dinner after if anyone is interested.